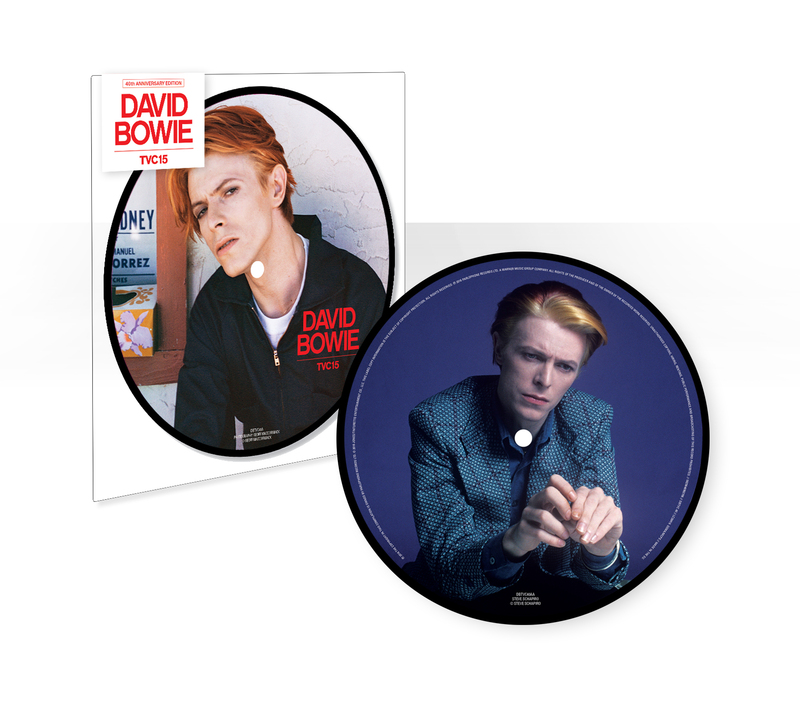 • Record Store Day is almost upon us for another year and David Bowie fans look set to benefit, with a duo of limited edition releases. 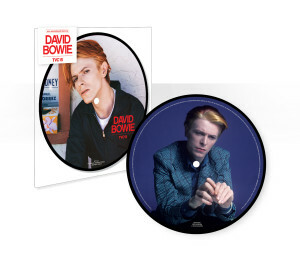 They are a limited edition picture disc 40th Anniversary edition 7″ vinyl of ‘TVC15’ (pictured) and a ‘The Man Who Sold The World’ album picture disc vinyl with alternative sleeve. A 40th Anniversary release of ‘ChangesOneBowie’ on black or clear vinyl, CD and digital formats is set to follow on May 20. • Madonna fans already on a high from her Australian tour will be frothing at the bit, trying to get their mitts on a limited edition 12″ pink vinyl of ‘Like A Virgin & Other Big Hits’, while Alanis Morissette fans can grab a 12″ translucent vinyl of ‘The Demos : 1994-1998’. Record Store Day hits your favourite music retailer on Saturday April 16. • The Pet Shop Boys will release a digital remix package of their latest single ‘The Pop Kids’ this Friday. The four track release comprises radio edit and full length version of the MK dub, along with the Offer Nissim Drama mix and the Pet Shop Boys’ own deep dub radio edit. The single package, comprising b-sides and other remixes, will be released on the same day. • The upcoming APIA Good Times Tour, featuring Kate Ceberano, Daryl Braithwaite, John Paul Young and Jon Stevens, has grown slightly. The event’s original show, which is set to feature songs from each artists’ back catalogues, at Twin Towns in Tweed Heads on Saturday June 04 has already sold out. So they’ve added a second show the following night at the same venue. Tickets are on sale now. • Courtney Barnett has won this year’s Australian Music Prize for her album ‘Sometimes I Sit And Think, And Sometimes I Just Sit’, saying of the win, “It’s an honour to be considered amongst such an amazing bunch of Australian artists.” The award was presented at a ceremony at The Basement in Sydney during the week; Courtney taking home a cool $30,000 as part of her prize. She beat out the likes of Tame Impala, Dan Kelly, Gold Class and Sarah Blasko for the honour. • It’s staggering to believe, but Aussie outfit GangGajang have become the first band to be granted permission by the original landowners to film a music video on the grounds of Uluru. 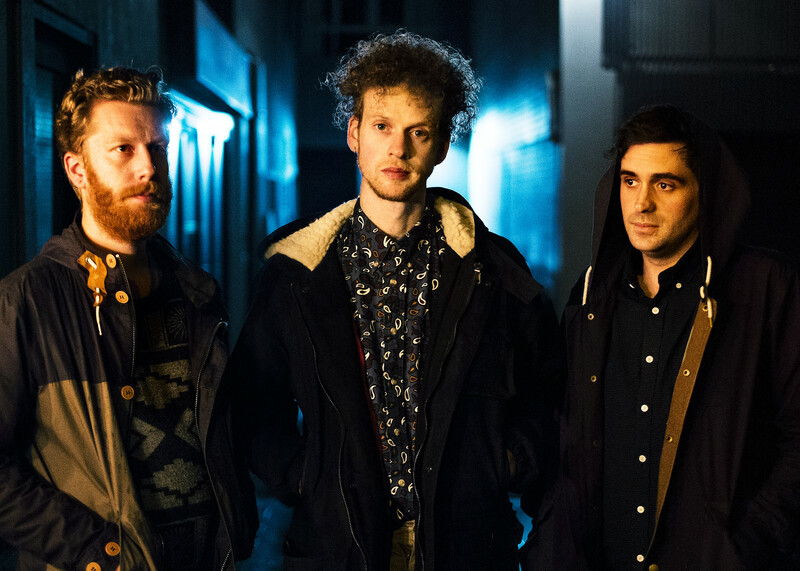 The clip is for their new track ‘Circles In The Sand’, which is the band’s first new single in more than a decade. Check it out HERE. • No change in the top spot on the UK singles chart again this week; Lukas Graham still flying high with their smash hit ‘7 Years’, but this week facing their biggest challenge from Mike Posner, whose ‘I Took A Pill In Ibiza’ rises from No.3 to No.2. The combined power of Tinie Tempah and Zara Larsson sees ‘Girls Like’ rise from No.15 to No.9, while Major Lazer’s ‘Light It Up’ also joins in the top ten party, up from No.14 to No.10. Fifth Harmony are knocking on the door of top ten UK success, with their new track ‘Work From Home’ rising from No.23 to No.11. • No second week love for The 1975 on the albums chart, however. Their album ‘I Like It When You Sleep…’ being replaced in the No.1 UK position by Adele’s ’25’. Jess Glynne’s ‘I Cry When I Laugh’ rebounds to No.2, while Bieber, Bowie and Coldplay maintain their positions at three, four and five respectively. Just two albums premiere in the UK top ten this week; Kendrick Lamar’s ‘Untitled Unmastered’ at No.7 and Kano’s ‘Man In The Manor’ right behind (No.8). • It’s week number three for Rihanna and Drake atop the Billboard Hot 100 singles chart in the US; the pair again holding off Justin Bieber (‘Love Yourself’) and Twenty One Pilots (‘Stressed Out’), who maintain their positions at Nos.2 and 3. Flo Rida’s ‘My House’ is up to No.4, knocking The Bieb’s ‘Sorry’ to No.5, while Kelly Clarkson’s performance of ‘Piece By Piece’ on ‘American Idol’ sees her claim her first top ten singles placing since 2012’s ‘Stronger (What Doesn’t Kill You)’; it’s new at No.8. Lukas Graham’s into the top ten with ‘7 Years’ (No.12 to No.9) and the new Fifth Harmony single ‘Work From Home’ premieres at No.12. • It’s The 1975 who claim the top spot on this week’s US albums chart with their contender for the longest album title in 2016, ‘I Like It When You Sleep, For You Are So Beautiful Yet So Unaware Of It’. They push Adele to No.2 and Rihanna to No.3, with the new Macklemore & Ryan Lewis album ‘This Unruly Mess I’ve Made’ premiering at No.4. Kelly Clarkson’s ‘American Idol’ performance did so much more for her than just a top ten hit on the singles chart; it sent her best-of ‘Piece By Piece’ soaring from No.120 to No.6 on the albums chart. The new Anthrax album ‘For All Kings’ is new at No.9. 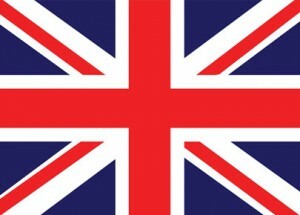 • That’s the UK and the US charts taken care of. But don’t you forget that we’ll return at 6pm AEDT to give you a full rundown of the weekly charts here at home. Chart Watch is live on the site tonight and every Saturday night at 6pm on the East Coast.